In “Overcoming the Five Dysfunctions of a Team” Patrick Lencioni identifies TRUST as the foundational requirement for all teams. Whatever the context / mission of the team, it is likely that this holds true for all. It is not about predictability, but more a matter of reliability of character, ability, strength…TRUTH of someone. TRUST is hardwired to TRUTH. As a trustworthy leader we need to be worthy of confidence. This is not about perfection, (for no one among us could ever be that) but more a matter of “knowing”. We are who we are in truth. We are consistent in this…a congruence pervades our life; an integral match between our stated/implied values, beliefs and behaviors. Authentic transparency is part of this then, but so too is honesty, and selfless humility. As a trustworthy leader we are open and teachable, and do not fear our weakness, but rather acknowledge it, confront it, and commit to maturity for the sake of all. 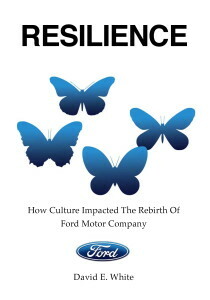 SUBSCRIBE and get a FREE PDF copy of my ebook Resilience!